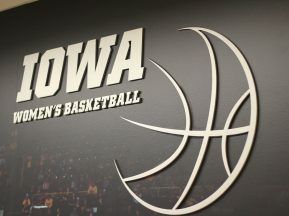 The University of Northern Iowa (UNI) constructed a new, 6,750 seat basketball arena, the McLeod Center, that would connect to the existing UNI-Dome indoor football facility. 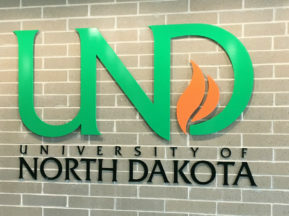 As part of the project, UNI needed ADA room identification and general exterior signage. 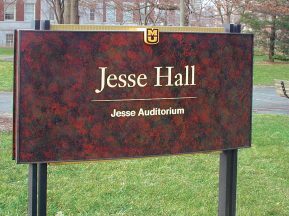 Also, the university needed donor signage for the area that connects the two facilities that would become the Hall of Fame. 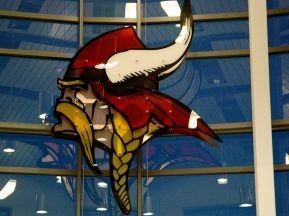 Because the facility was built with donations from the community, the university needed a solution that would fit within its construction budget and then allow for inexpensive, easy updates as changes occur in the future. Working in conjunction with architect HLKB, ASI partnered in the design, material selection and value engineering of this project to provide a solution that would meet the university’s needs as well as its budget. 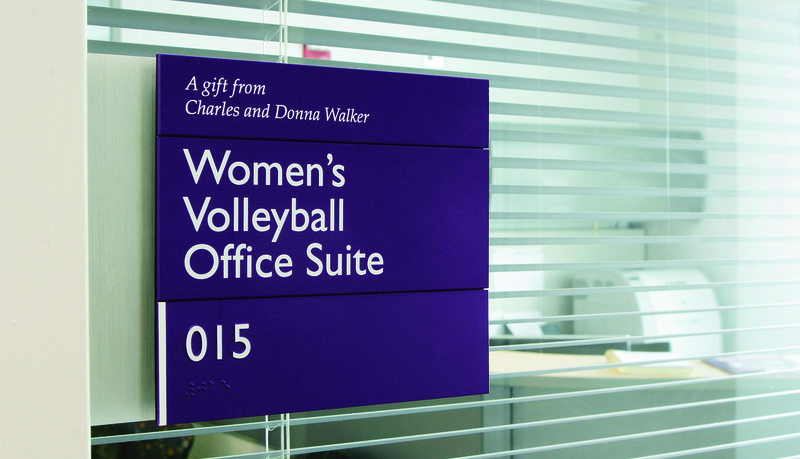 For the room ID signage, ASI used the Infinity™ modular signage system with ADA-Ready™ panels. This Infinity solution was customized with aluminum bends to accommodate the unique design of the room entries and still meet ADA guidelines. 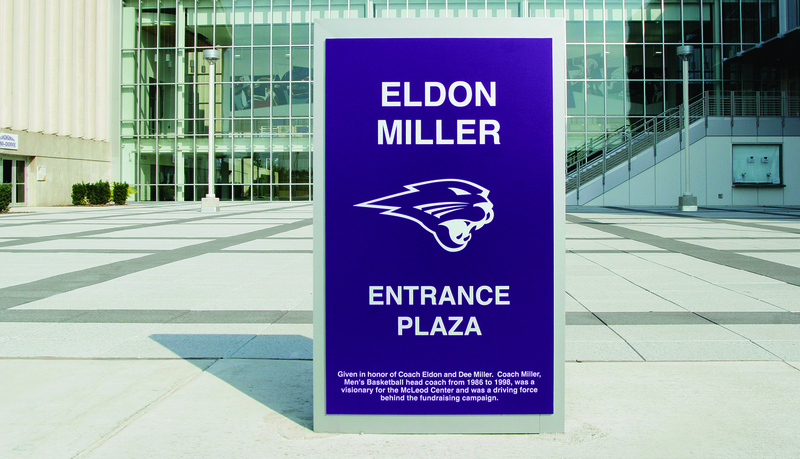 Because Infinity is a modular system, it can be easily and inexpensively updated – without the need to replace an entire sign. 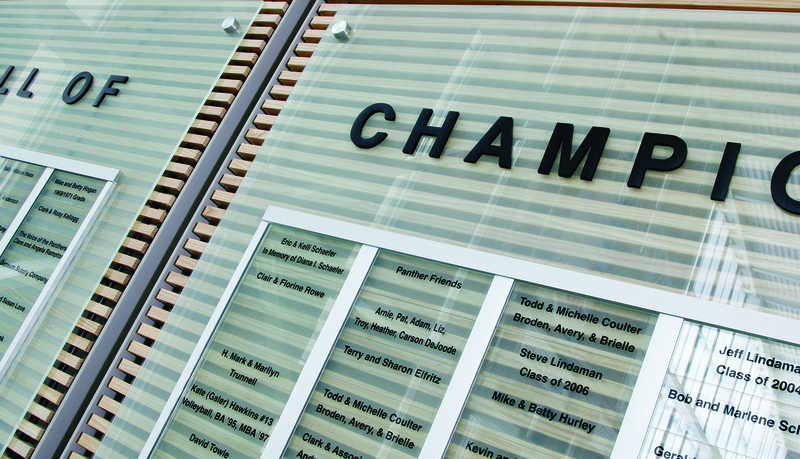 The donor recognition system that resides in the Hall of Fame was designed and fabricated from Plexiglas® with custom rails to complement the two structures as well as offer the client the ability to update without major cost or redesign. 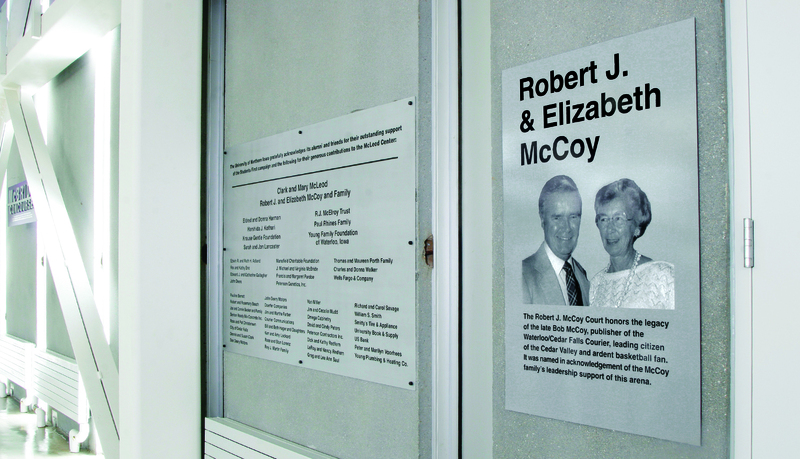 Also, ASI utilized metal laminate and solid cut letters to further recognize donors throughout the facility. ASI fabricated custom aluminum brackets to mount the solid cut letters. 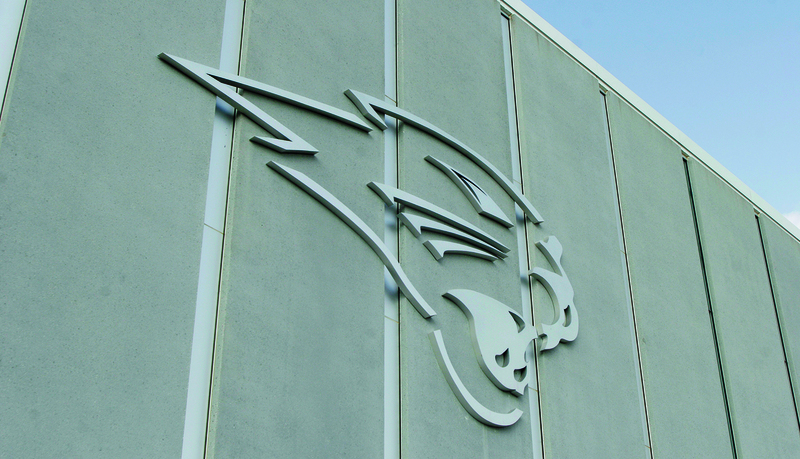 For the exterior signage, ASI provided fabricated metal letters to create the UNI logo that is installed on the exterior of the facility. 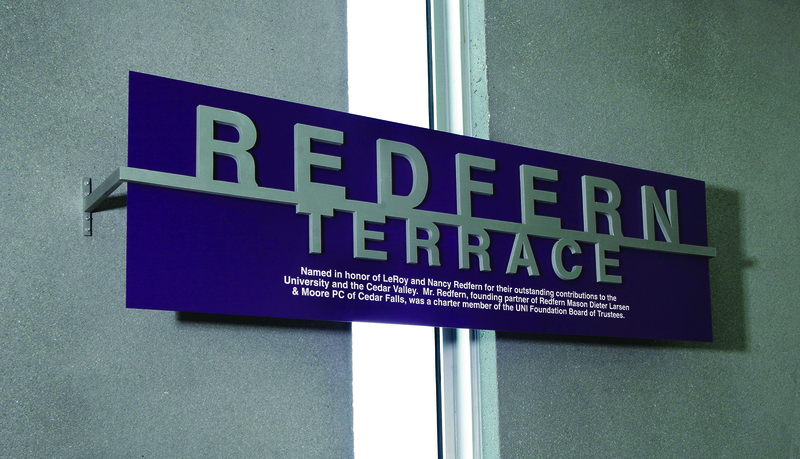 ASI also provided monolith directional and ID signs to ensure effective wayfinding for visitors.